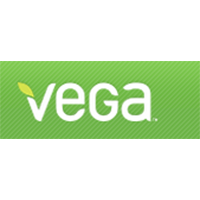 Vega offers nutritional products that are meant to help people sustain good health on a vegan lifestyle. The site offers recipes and other information to assist with a healthy vegan lifestyle. Visitors can search for products using the search box. There is a store locator tab at the top of the landing page under the “shop” heading. There is a “VegaEstore” tab as well where visitors can make purchases. Visitors that sign up for email notifications will receive 10% off their next order. There are links at the bottom of the homepage that takes visitors to the Team Vega athletic team. For most up to date offers check out Vega on Facebook and Twitter or contact Vega Support for any questions.